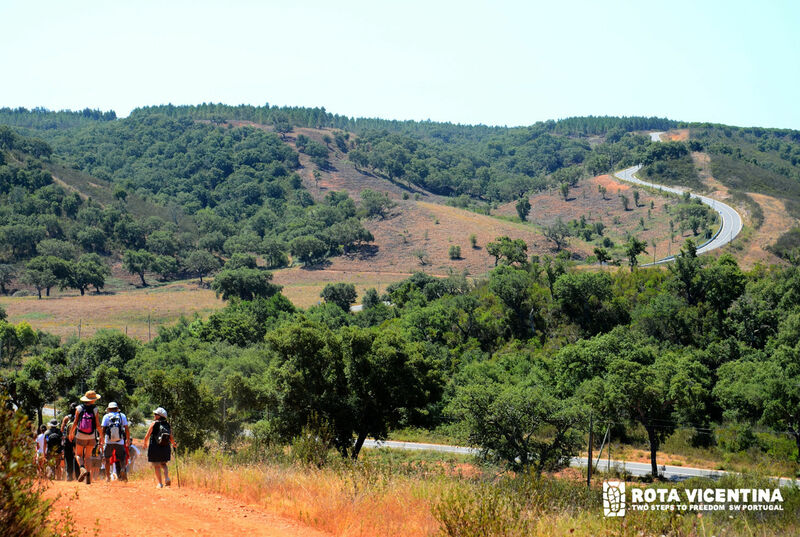 Rota Vicentina: Odemira to Sao Teotónio via Historical Way is a 18.8 kilometer lightly trafficked point-to-point trail located near Odemira, Alentejo, Portugal that features a great forest setting and is rated as moderate. 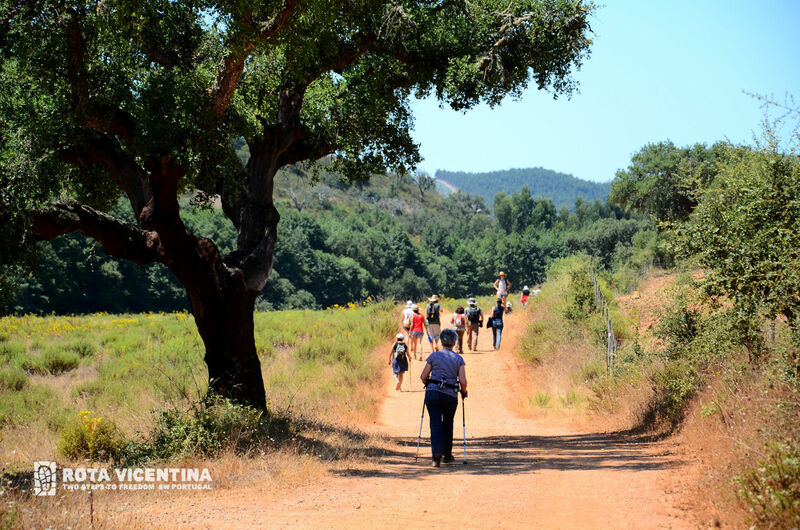 The trail is primarily used for hiking, walking, and backpacking and is best used from September until June. 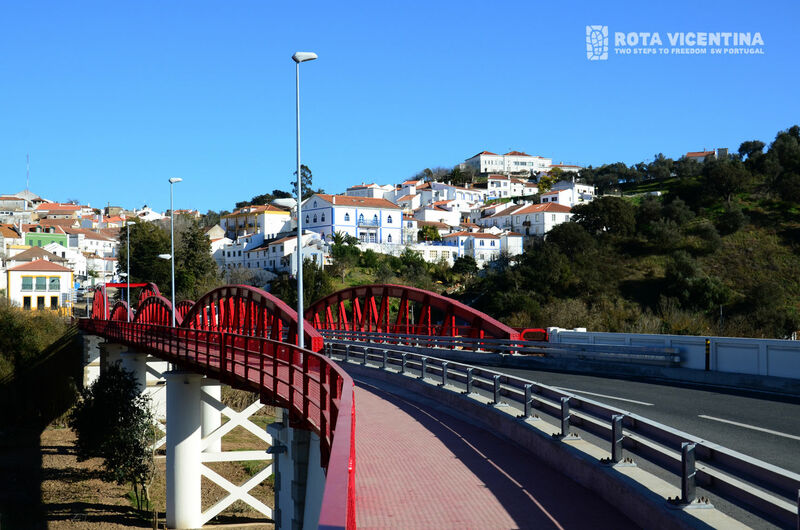 This is one of Rota Vicentina's most accessible sections, given the wide corridors and mild ascents. 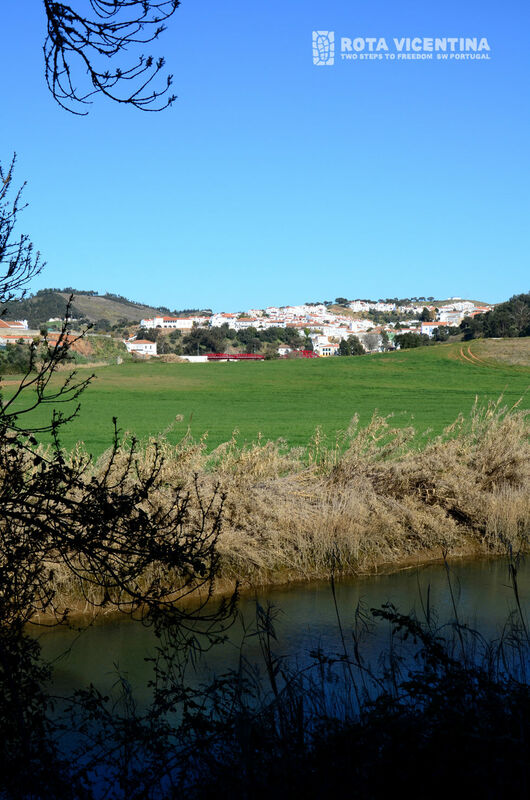 You'll walk along the Mira River and Sao Teotonio's creek, seeing the inland area of the region. 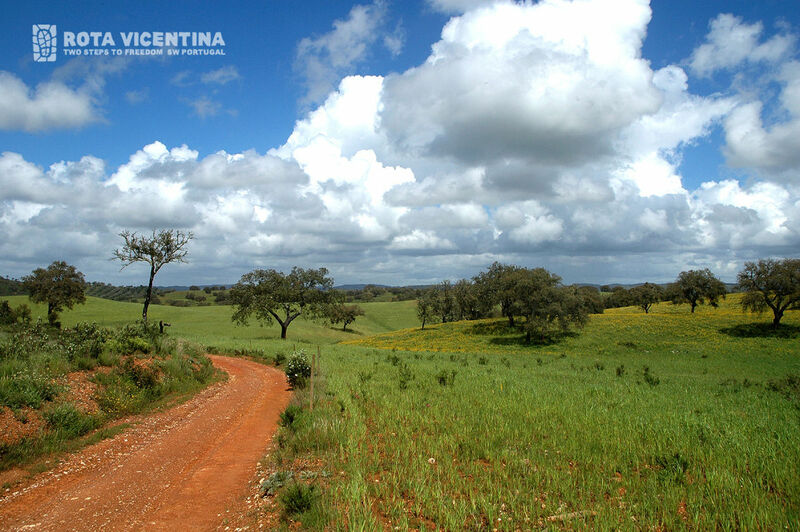 This is a portion of the Rota Vicentina, a multi day trip that can be hiked via a variety of routes. 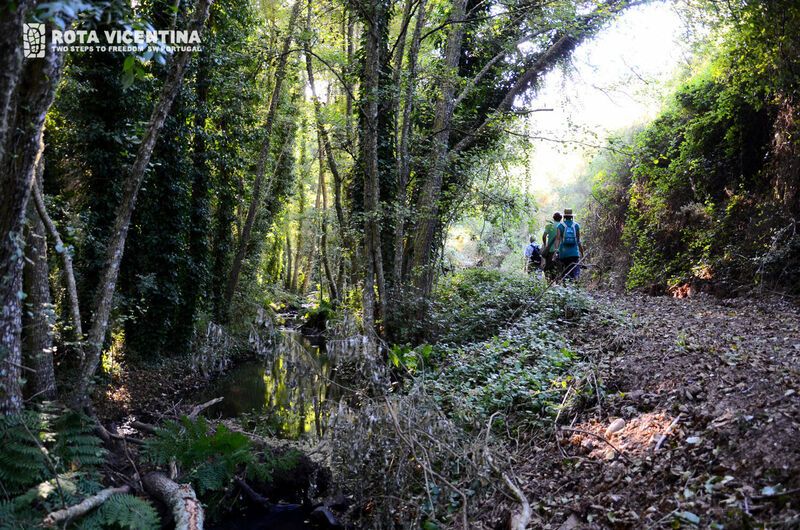 This is a compiled list of the sections: https://www.alltrails.com/lists/rota-vicentina. 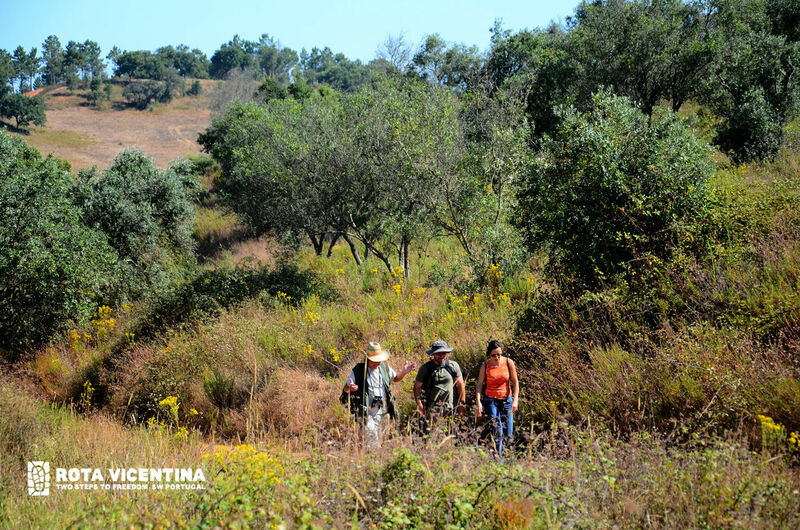 Following that link you will find day hike sections of the trail for easy downloading.